We will be updating you on the full specs of this affordable tablet. when we get a hold of it. UPDATE: The price of this tablet phone or phablet has been changed so that it would be more affordable it only cost P5,490.00 so check it out on different Myphone kiosk and get a hold of it! 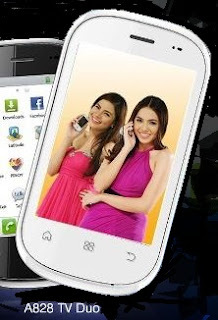 Myphone A858 Duo is the newest android phone from Myphone, which is one of the trade able mobile phones from the Trade-in madness Promo. The A858 Duo is and Android phone which features a Gingerbread OS. This android phone's display is a whooping 3.95 inch display with a full capacitive touch screen. 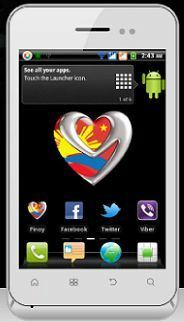 this could be the best android phone Myphone have ever released as of now! The A858 Smartphone runs on a 1Ghz processor which will be able to browse faster than conventional models. 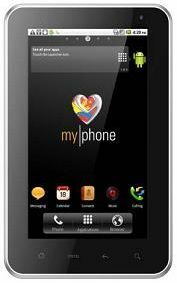 Myphone A828 TV Duo is an android phone with TV. It runs a V2.3.6 Gingerbread system and it's one of the featured phone of the new trade-in madness on which you can trade you're working and non working cellphones for a Myphone Android. You can get a discount of about Php 500.00 when you join the promo and pick the A828 TV Duo. 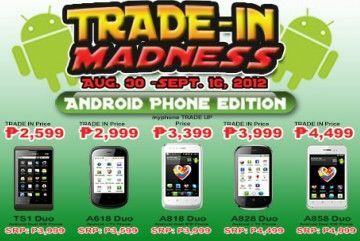 Myphone Android Trade in madness Returns!! Yes! The Trade in madness is back and you can exchange your old and cheap mobile phone for Android phones from Myphone, not just that you can also select from five android phone models. This is the best and the newest trade in madness from Myphone.